This Friday, at noon, the wait is over. The collectors action figures will finally become available for purchase at www.HeroMart.com and MOST Toys"R"Us store locations in the USA will have them on shelves (in the card game isle). Players have been reporting that some stores already have them in stock! There has been some confusion about the dates -- so this post is going to tell you EVERYTHING you ever wanted to know about the action figures (and a little more.) For example, both Toys"R"Us and HeroMart will have some of the rare black variants for sale. This Friday at Noon EST: HeroMart.com will put the figures up for sale. The regular figures will be $20 at HeroMart and $24.95 at Toys"R"Us (Which is about the same if you include shipping.) The rare black variants will be $50 on HeroMart (reasonable, considering the original Deady's were $60 and sold out in the first weekend.) TRU may sell the variants for less... but the trick is finding a store that has them. An Indie Company making their first toys! This is, obviously, the biggest thing to happen us as an indie game company. Indie meaning... noone owns us. We do not have a parent company. No investor ever gave us a giant lump of cash. We are 100% funded by you, the players. So, most people are really shocked to find out that we designed the packaging, took our own photos, created the codes and in-game items, paid for the production of the figures out of our own pockets, and do most everything except for the actual molding and assembly (we would if we knew how, lol) here at the lab. We hope you choose to support us by getting the figures at US based Toys"R"Us stores or online at www.HeroMart.com (shipping anywhere in the world). If this is a success we will go on to create other figures... Drakath, Cysero, Galanoth, Warlic, etc. at me for taking pictures of action figures." I am probably not legally allowed to tell you what you are about to read -- but this has been a source of a lot of confusion, so I am going to tell you. Please use this information to help tell others who run into this problem. Ok? I have already been getting messages from player's who contacted their local Toys"R"Us in the United States and were told something like, "Not sure what you are talking about, we are not getting these toys in." or "These are not in our system." This also happened with the Card Game, Booster Packs and the 2012 Calendar which are for sale at Toys"R"Us now. Why does this happen? The answer: We go through the company named Beckett to put our toys in the store. they are a great company to work with. We really like them. You may know Beckett as the company who creates the Baseball cards, Yugioh Cards, Magic the Gathering and more. In every Toys"R"Us there is an area filled with all of these type card games (including ours.) Beckett completely controls that card section of the store. They have their own people who manage the shelves... and their inventory is, in as simple of a way I can put this, tracked seperately. So, our card game, calendar and figures are located in that isle, but very likely will never show up in Toys"R"Us's computer system. It is weird. an I apologize for the confusion -- chalk this up to us being a growing indie company. One day I hope to have our game items in EVERY Toys"R"Us in EVERY country. But for now, I asked Beckett to send an email to each store letting them know about the figures -- and where you can find them. I hope it happens and helps. But at least you know, the figures will be located in the card game area with our other items... even if their computer says otherwise. Note: Not all store locations will have the Black Variant figures. As there are so few of them... it will take some hunting! I hope you are all looking forward to Friday - both for the release and for the figures! 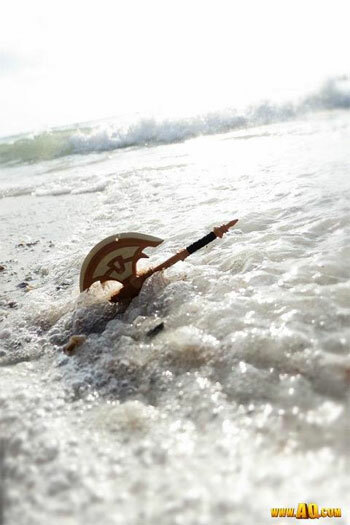 "The Lady of the Lake raised the sword... erm... axe... high above the water and threw it to the hero. But it was really heavy. And not very aerodynamic. This is probably why King Arthur used a sword." "Making the world... a darker place..."
The original DoomWood is one of the most popular and memorable storylines in the history of the game. Following up a hit (not unlike making a sequel to a hit movie) is a pretty big challenge. You need to take the story deeper... innovate... do something daring (and in our case, blatantely against the rules). This new DoomWood 2 Saga is a 5 parter which will start tonight. The story will start as so many of you were hoping, taking you deep within the Necropolis. But each week... it will spiral faster and faster into madness. If you want to make a hit sequel... you will have to break ALL the rules. I REALLY hope you enjoy it friend... BATTLE ON! 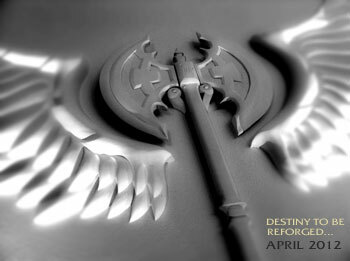 Artix & Vayle outside the Necropolis... good memories. DoomWood Part 2 Storyline begins!!! New items throughout the release including shop items, monster drops, quest rewards designed by Dage, Solrac, Veneeria, Aegis, Jemini, end even Cysero! ATTENTION DragonFable players... I met with Geopetal and... in tonight's release we are dropping some MAJOR backstory plot bombs! As a special bonus this week... we put in, what we believe, is an impossible battle against two DoomKnight OverLords. You have proven us wrong in the past. We are looking forward to your screenshots. 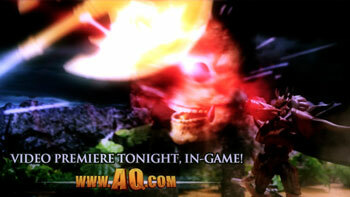 Xan Poster Heats Up Heromart! Get fired up with our newest DragonFable-themed poster, NOW at HeroMart! Featuring Xan, DragonFable's premiere pyromancer, the poster comes with red-hot rewards in both DragonFable and AdventureQuest Worlds! Both the signed and unsigned versions of the Xan Poster come with the Fire Claw Scythe, which has a special animation triggered by using the auto-attack skill! (You will need the spitfire enhancement equipped for the special to work.) Be the first in your party to show off this all-new, blazing battle technique! The poster is 24" x 36" (61 cm x 91cm) and costs $25 USD for a version signed by all of the staff at the Lab, or $9.95 USD for an unsigned version! DOOM Starter Package NOW Available! DOOM is all around, it's in the air, it's on the ground... and in your INVENTORY! Purchase the $19.95 3 month upgrade now and for a limited time you'll also get 2,000 AdventureCoins (1,000 more than normal!) AND the DeathKnight Armor Set (Armor, helm, and weapon)! 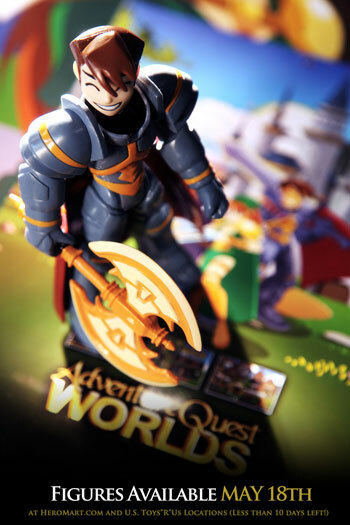 AQWorlds membership gets you access to exclusive storylines, quests, and gear! DOOM: It's starts with YOU! Once you purchase the package, check your Book of Lore for the DeathKnight Badge to unlock the shop and purchase all the DOOMtastic equips! Mecha battle tech means MEGA PAIN! SkyPirates have invaded the SkyGuard High Command, and they’re after a VERY secret, VERY explosive weapon that could turn the tide of the war… and give whoever is behind all this chaos the win! High Command no longer trusts Captain Stratos, so it’s up to you to save the day, brave the legions of SkyPirates, and MAYBE get a ridein a really sweet mech! The SkyGuard's leveled up their tech! DOOM continues... in Doomwood! If you haven't played last Summer's Doomwood Saga, or if you've forgotten parts, then you've got a LOT to catch up on before next week! 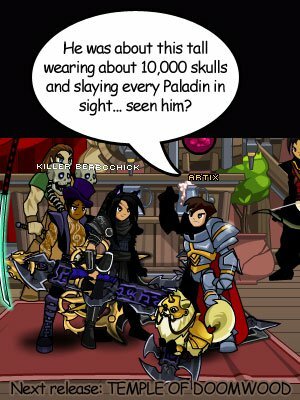 Click the button in Battleon to see what you've missed, then /join Doomwood and play through the storyline to see all of the secrets we DIDN'T reveal in the cutscene! Coming NEXT week, Doomwood II: Whispers of the Darkness Lord continues! Mid-week Member Release in Wednesday! Don't forget to check out this week's member-only midweek release took place in the Lightguard map, where members can find Mitchem, a Paladin Loremaster. Ghosts, guardians, and epic gear await you! The Hood of the Divine! Artix vs Sepulchure Action Figure Video! Good vs Evil clash in an incredible stop motion animation video featuring Artix vs Sepulchure! Watch as our action figures come to life and engage in the ULTIMATE BATTLE! We hope this video, created by Counter656, will get you guys geared up, because the toys are coming to Heromart soon! Make sure to check out HeroMart's Coming Soon page for all the toys' information! Dragon Deluxe Limited Edition Print! Business and whimsy (whimsiness!) mix in this awesome print by Dage the Evil! Only 500 of these hand-signed prints will be sold, and once they're gone, they're gone FOREVER! (And there are only 343 left right now!) The print comes with the LichLord ingame armor AND if Heromart sells out by midnight, Dage will draw an EXTRA item as a gift to all those who purchased! Whimsy + Dragon = RAWRsome! Have a great weekend, everyone! We'll be walking at the Relay all tonight, so if you're in the area, stop on by and say hi! Play the card game with us, spin the Wheel of Fortune or pick from the Treasure Chest to win AEsome swag! ... and our player count soared? Last night, one of our most favorite music bands of all time (and former AQW guest), They Might Be Giants performed on the Conan O'Brian show. For no apparent reason, our online count suddenly jumped. I was told on my twitter that several servers were reporting as FULL. Which was expecially weird for 11pm at night! We where not mentioned anywhere (that we know of)... does anyone have any idea why this happened? Talking about TMBG, the band is officially on tour! ... and the opening act is Jonathan Coulton (who also appeared in a previous AQW event.) You can see their official tour schedule at the TMBG's official website. Many of us from the lab will be going to their show here in Tampa, FL. You have a big release coming tonight in AQWorlds, but first, I would like to share a few things I have secretly been working on. 1.) The AQ3D Project 2.) Planet Romero in MechQuest (along side Korin & the MQ Team) 3.) 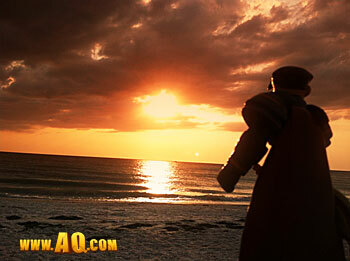 Valentines day "Love Story" for AQWorlds with Mia J. Park (read the Jan 9th, 2012 post here) and 4.) ...well, you know what they say. A picture is worth one-hundred thousand slain undead minions! We've got 2 classes coming tomorrow. First, the non-member Evolved Shaman class (You can either earn with Arcangrove Rep Rank 10, like original Shaman or pay 2000acs for it unlike original Shaman) for which Alina did a great skills breakdown yesterday. So if you have already ranked up to Rep Rank 10 in Arcangrove then all you need to do is NOTHING. Tomorrow, during the release, we will be adding the Evolved Shaman directly to the backpacks of anyone who already has Rank 10 Arcangrove Rep. If you earn Rank 10 Arcangrove Rep AFTER release tomorrow then you will need to spend the standard 50,000 gold that the earned version of the class costs. You'll be happy to note that this class is as color customizable as the original is. The second class coming tomorrow is the member-only class for DoomWood, UndeadSlayer. 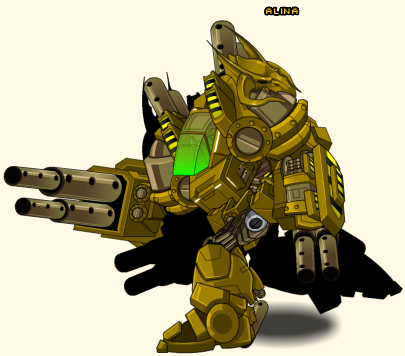 If you are a member you will be also be able to buy this class for 2000acs or earn it with DoomWood Rep Rank 10. The good news is that if you've already ranked up to earn Necromancer then you're all set. NONE OF THE CLASSES MENTIONED ABOVE ARE GOING RARE. From tomorrow's release onward, you will always be able to earn Shaman and earn/buy Evolved Shaman, or earn/buy UndeadSlayer. I'd love to show you what UndeadSlayer Class looks like but Dage had to prepare for Hurricane Don and got a late start on the art. It's still in progress but what I've seen so far looks great! Now let's see what UndeadSlayer can do. The most important thing that you need to understand about UndeadSlayer is that is was built for SLAYING UNDEAD. It is a decent class for soloing but might feel a little underpowered UNTIL you are in DoomWood, BattleUnder, Shadowfall or fighting undead in some other area. If the undead had faces to melt, it would melt them without breaking a sweat. The UndeadSlayer Class has an interesting dynamic that you won't find in any other class. It takes both Mana to use its abilities but you also need to gather Spirit Orbs to increase the effects of the skills. Getting Spirit Orbs is easy, you get one every time your auto-attack goes off against an undead, even if you miss. You'll see the count going up as you fight and it will max out that 200 Spirit Orbs. Now let's go over the skills. A basic attack, taught to all adventurers. When attacking undead you gain spirit power. In this model AA actually plays a pretty important role in battle. This is your only damage power that does not do increased damage against undead but it's the only way to gain Spirit Orbs. You will want to pay close attention to how much spirit power you have saved up. Just watch your character and the game will display how much spirit power you have banked each time you auto-attack. 10 mana, 2 second cooldown. A powerful spirit attack, damage enhanced by spirit power. More effective against undead. This class is not complex. This is an attack. It does damage. It does more damage against undead. The more Spirit Orbs you have banked, the more damage it does. It's a very inexpensive skill with a very fast cooldown so spam it. 20 mana, 10 second cooldown. Heal yourself with spirit power. Amount healed increased with spirit power. A handy self-heal. It's enough to keep you alive with low spirit orbs but as stacks go up it makes it insane. Nearly a full heal with the max 200 Spirit Orbs banked. This one will eat your mana if you're not careful but considering the cooldown it shouldn't be a problem for most to balance cost versus effect. 10 mana, 5 second cooldown. A strong attack enhanced by spirit power. Once again, if you can make a sandwich, you can use this class. This is another attack. It also does damage. The more Spirit Orbs you have banked, the more damage it does. Once again, it's cheap and has a fast cooldown. Your mana won't flat line if you are spamming this one as soon as the cooldown pops either. Your basic passives here. Ranking up the class unlocks the ability to attack faster than ever before while taking more of a beating. 30 mana, 30 second cooldown. The UndeadSlayer's ultimate attack. Requires at least 20 Spirit Power to use. Consumes ALL Spirit Power. Here's the Big Daddy attack for Undead Slayer. This attack does a MININUM of around 6000 damage to an undead foe and the damage only goes up with the Spirit Orbs you bank. With a full stack banked, it's not uncommon to see a crit for around 15-20,000 damage. It's pretty nasty. Small chance that using one of your skills other than Auto-Attack may result in instantly maxing out your Spirit Power. This is a pretty nice little extra you get for maxing out the class. I've had it happen to me only twice in testing but suddenly your heals are HUGE and your Dragon Lance are taking a third of an undead bosses life. SUMMARY: I've solo'd Noxus several times with this class. It's really pretty nice against undead. As I mentioned earlier, against anything else it's a decent enough class but it's really specialized to Undead. it rips through them like a hot knife through butter. There are a few tactics that you might want to use. I've found it pretty useful against undead bosses to just sit there and heal myself until ive' got a LOT of Spirit Orbs banked. After that you can either blow it all on a big Dragon Lance, cause it's nice to see that BIG damage, but make sure you heal first. One last mega-heal never hurts and after the Lance, because after that you're back to 0 Orbs and a rinky dink heal. The other option is to keep the stacks and damage flowing. If you keep the spirit orbs banked, Exorsize and Vorpal Strike start really doing some serious damage and the BEST part is they the cooldowns and mana cost remain steady so you just clewing through the bosses HP and keeping up those mega-self-heals. Either way, I think this class accomplishes what Artix wanted when he designed the skills. It allows you to mow through undead as if you WERE Artix himself, Spirit Orbs and all. The more you fight the STRONGER you get. Advanced Color Picker Coming Friday. This little widget has given us more trouble than we ever expected but considering that happens a lot you'd think we would have expected it. NEVERTHELESS, through Yorumi and Zhoom's collective hard work the Advanced Color Picker will be ready tomorrow. When you visit Yulgar's Room 42 you will see an increased range of color swatches. This button switches the color picker from Swatches Mode to Free Mode. Free Mode is an analog display of pretty much every base color you could imagine and it has a brightness slider on the right hand side that allows you to make your selected color as bright or dark as you like. This basicly allows you to pick any color within the entirety of the percievable range of human sight. It even displays the exact details of that color in the Info boxes at the lower right so you can write down the values and duplicate that PERFECT color you spent an hour finding time and time again. We have finally reached the end of the DoomWood Saga. We have a LOT of surprises for you and it will wrap up EVERY SINGLE story thread that we've lovingly crafted for you as this zone has progressed. I just thought you'd like to know that. Last we left off in the DoomWood Saga, Artix (Hey, that is me!) escaped from the prison of LightGuard Keep (Which *coughs* you put me in without telling me why.) to find and battle the PaladinSlayer Vordred. Meanwhile, you went to the Necropolis and discovered that Noxus, who had been defeated back in DragonFable, has been brought BACK as a Lich (A lich is a very powerful undead wizard -- remember, Noxus was actually alive in DragonFable) by the new Necromantress, Sally (Wearing her terrifying pink Necromancer robes). With three major villians focused on turning our world into a barren undead wasteland... things are looking pretty grim. 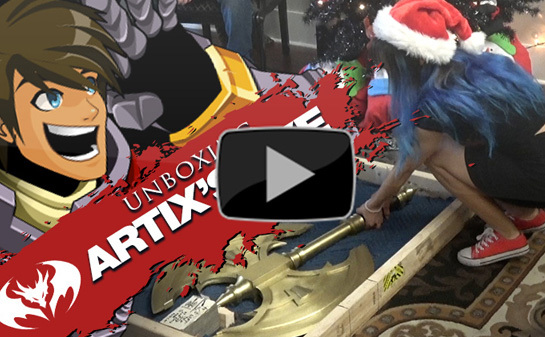 We are not sure why we are supposed to keep Artix (Still me! So wierd talking about myself in the 3rd person) away from Vordred... other than Vordred is an evil PaladinSlayer who will apparently gain unbelievable powers of darkness if he slays Artix personally. 4th of July and Canada Day Shops open!